I first heard pianist Mark Shane a long time ago on someone’s illicit cassette recording of an outdoor festival. Through the rustlings and the sonic murk, he came through like a beacon of swing. I heard finely detailed melodic invention owing a good deal to Tatum and Wilson, translucent improvisations with subtleties reminiscent of Hank Jones and Tommy Flanagan. I had to wait until 2004 to meet him in person, but he didn’t disappoint, and still doesn’t. When I started to purchase Shane’s CDs (a venture I commend to you) I found he was often in tandem with a glorious singer. She swung without a letup but her approach was delicate and warm. She was very much aware of the great singers of the past but had brought her own tender sound to their repertoire. Her work was and is genuine, and when I played her music for other musicians and fans, the reaction was always, “Who IS that? Wow, she is the real thing!” I had to wait until 2013 to meet Terry Blaine, and it was a joy to see Mark and Terry perform together. Not everyone can make their way to a Shane-Blaine gig . . . but their music can come to you. And it has! Their new CD is available here at CDBaby (as a physical disc) and will be available at all the usual sources as a digital download in a few days. Our special friends are back in town, and I am so grateful. Play a piece of music for a jazz historian and ask for a response: you’ll get an analytical primer of famous names, influences and styles, cities, dates, and record labels. A musicologist will talk of rhythmic and harmonic patterns, ethnic and cultural influences. But music is much larger than the words and ideas that attempt to explain it. It is vibrating energy sent from its creators’ hearts to ours. True, physical entities are part of it: the uniqueness of a singer’s voice, a pianist’s touch on the keys. But ultimately music is one marvelous way that artists, devoted to feeling and craft, send messages to us. Terry Blaine and Mark Shane are remarkable transmitters of wondrous vibrations. In the Thirties they would have been called “solid senders.” Although they have lovingly studied the great improvisers of the past, they emerge whole and joyous as themselves. 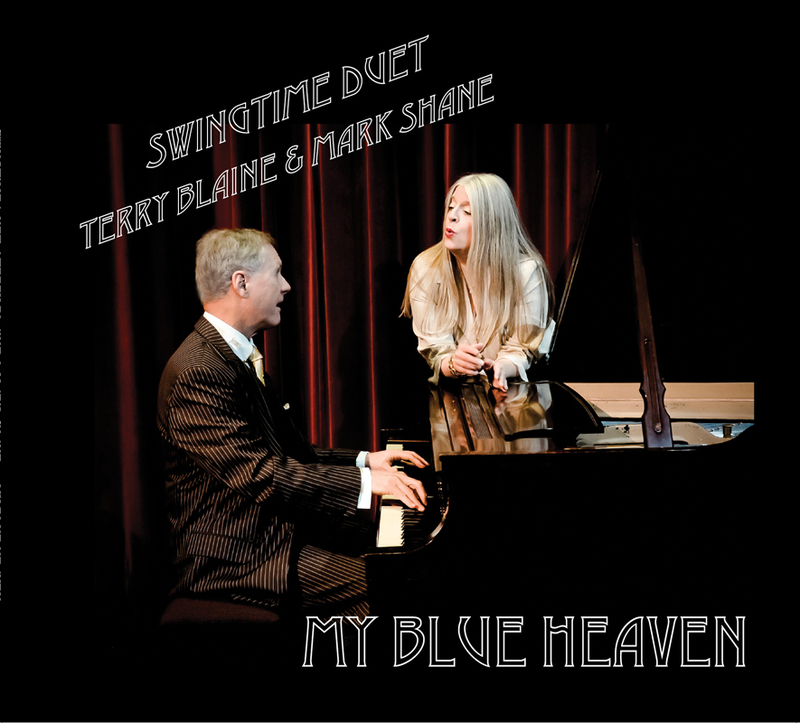 In swinging synergy, Terry and Mark travel through and beyond any song. Hearing them, we emerge, refreshed and nourished by what they embody in music. They do not “imitate”; they do not approach the music from an ironic postmodern distance. They are the emotions they transmit – sly hilarity, pleasure, longing, romantic fulfillment, contentment. This is the real thing, without pretense, full of warmth. In the first minutes of this disc, a listener will hear great sincerity in music that never parades itself, an art secure in its wisdom. Terry’s voice is sweetly intuitive, connected to the mood of each song. The way she slides from one note to the next is a caress. Her approach is both generous and wise, for she always lets the song shine through. 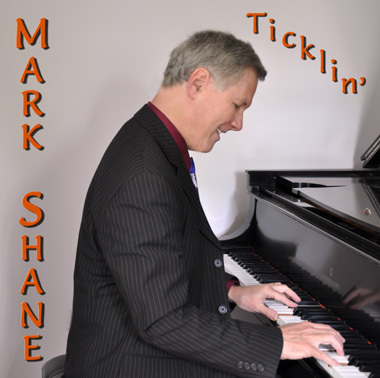 Mark Shane is a master of delicate yet profound swing; he honors the great musical traditions by creating an orchestra at the piano, with unceasing rhythmic motion. A simple melody statement in his hands has the fluidity of a river, with currents of shading and light, surprising depths and textures. Mark and Terry are a marvelous team, a musical community that needs no other players. Their interpretations of music and words are whole-hearted gifts to the composers, the lyricists, and to us. We know what our response to this music is: it makes us feel the joy of being alive. We’re happy in the Blue Heaven Terry and Mark create for us. You will be, too. The songs are MY BLUE HEAVEN / HONEYSUCKLE ROSE / AIN’T HE SWEET / SKYLARK / LOCK AND KEY / MY MELANCHOLY BABY / ROCKIN’ CHAIR / I LOVE BEING HERE WITH YOU / THE NEARNESS OF YOU / THERE’LL BE SOME CHANGES MADE / MY SPECIAL FRIEND IS BACK IN TOWN / COME UP AND SEE ME SOMETIME / LET’S DO IT / SOME OF THESE DAYS / WRAP YOUR TROUBLES IN DREAMS. The recording is delightfully clear and unadorned. It’s heavenly. Artists rarely get paid in relation to how beautifully they create or how much their art pleases us — but if that were the case, the subtly brilliant pianist Chris Dawson would be a wealthy man. So, as you can easily hear, Mr. Dawson is a man of many talents: he can sweetly rhapsodize in a most restrained, elegant manner — not an extra note in an hour — with a beautiful touch. 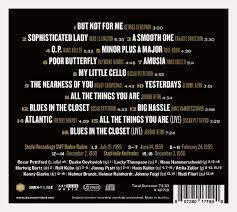 And he can swing out in the best hot manner, evoking Fats, Nat Cole, Mel Powell, Teddy Wilson . . . imitating no one, staking his own claim. Because he is based in Southern California, Chris is — to my way of thinking — both a National Treasure and a Well-Kept Secret . . . but ask musicians about him — Jean-Francois Bonnel, Connie Jones, Tim Laughlin, Clint Baker, Dawn Lambeth, Dan Barrett, Hal Smith — and they will agree with me. If you find yourself deep down South (down Santa Monica way) in the next few days, Chris is playing two gigs . . . The “South Bay Swing Combo” will be appearing this Friday night, August 10, beginning at 6:30PM, at DeLuca Trattoria, 225 Richmond Street, El Segundo, California: 310.640.7600. Musicians who have eaten there say the food is delicious and the atmosphere relaxed. Chris will be playing with two fine improvisers: Bryan Shaw, trumpet; Albert Alva, reeds. The other appearance is a solo recital on Sunday, August 12, at 5:00pm in PDT at Mt Olive Lutheran Church Elca, on 1343 Ocean Park Boulevard in Santa Monica, California 90405. The telephone number is 310.452.1116. I’m beginning the one-man JAZZ LIVES campaign to make sure that everyone hears Chris and that wise concert / party / festival promoters put his name at the top of their lists. Anyone want to join me in this endeavor? *As an experiment, play BEAUTIFUL LOVE for someone who can’t see the screen or identify Chris. Ask the listener who’s playing — my guess is that all sorts of august names (Tommy Flanagan, Hank Jones, Bill Evans) will come up — which is praise for Chris and more evidence that he should be better known. Although I had heard them on record for some years, I first encountered reedman Dan Levinson and pianist Mark Shane in 2004 at the tenorist / jazz maven Ray Cerino’s birthday party. Not surprisingly, they were even better in person than on records. Levinson could and can execute anything he thought of (and that was plenty) with a true swing phrasing and melodic shapeliness. Shane was and is a subtle master of swing piano — not a thumping Strider but someone who’s made the influences of everyone from Teddy Wilson to Mel Powell and Tommy Flanagan into his own quietly intense style. I had to wait a few years more before having the pleasure of hearing Molly Ryan sing — her voice so earnest yet so supple, her delivery unaffected and warm. She’a a straightforward, easy rhythm guitarist as well. Readers of JAZZ LIVES know how I revere the guitarist / singer / whistler John Reynolds, and Banu Gibson can’t say “Good morning!” without turning it into a lilting expression. Dan, Molly, and Mark played a set at the 2011 Sweet and Hot Music Festival on September 3, 2011, which I present here in all its sweet and hot glories. And later on, John and Banu dropped by — not for tea, but for swing. See and hear for yourself. Here Molly tenderly swirls through an Artie Shaw song — (WOULD YOU LIKE TO BE THE) LOVE OF MY LIFE — how believably romantic she is! Who needs more people on the stand when you’ve got such empathic players and singers? Clarinetist Joe Licari has been a fixture on the New York scene for a good long time now and he shows no signs of slowing down or of losing his light touch. Tangible proof of this can be heard on his latest compact disc (recorded in December 2010), ALL MY LIFE — a series of duets with the irreplaceable Mark Shane on piano. The standard repertoire — ALL MY LIFE, BODY AND SOUL, CHINA BOY, I MUST HAVE THAT MAN, and MOONGLOW — would suggest that this is very much in the mood and style of the greatest early Goodman small groups. And indeed it is easy to close your eyes and to think that the King of Swing and Teddy Wilson have come back for a visit to this century. The light touch, the easy, flowing melodies, the respect for the composers’ intentions, the delicate yet convincing swing are all there. The longest track is five minutes and it seems too short. But there’s more here than just another “let’s pretend to be Benny and Teddy” project. 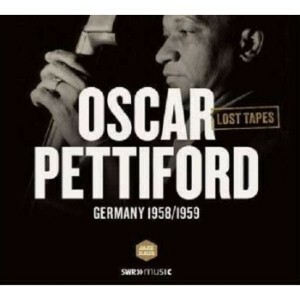 This CD is more than Goodman Lite or Tofu-based Swing Era, especially when we move into Django (DJANGO’S CASTLE), a jointly-composed blues that begins with a minor theme that reminds me of KING OF THE ZULUS, a Bob Wilber original and two of Joe’s own compositions — all of the three with simple, haunting melodic lines. Listened to closely, Licari brings much more than the usual pastiche of Goodmania to his playing. In fact, his woody lower register suggests those two less-heralded masters, Joe Marsala and Rod Cless. And where other clarinetists need to dazzle (or occasionally pummel) us with their facility, running up and down the keys, this is not Licari’s way. He is not overcautious or tentative — he knows where he’s going at every turn of phrase — but he is sparing with his notes and he uses them to construct logical, sweetly balanced phrases that fit in to one another to create fulfilling solos, never getting too far from the melody but enlivening it nonetheless. And Shane remains a wonder. Yes, his style owes a great deal to Teddy and Fats Waller and Earl Hines . . . but it’s clear that he has also listened hard to the masters Tommy Flanagan and Hank Jones. This is particularly evident in his unaccompanied introductions, each a four or eight-bar jewel, a little resonant composition that would be complete and satisfying in itself. He never rushes, never drags, never overacts . . . he is the very model of a delicious, fully formed composer-at-the keyboard. And Joe and Mark make a wonderful team: no one steps on the other one’s lines. The CD has a lovely homelike natural sound, and it is thoroughly heart-warming, rather like having the good fortune to hear Joe and Mark in your living room. It is available at http://www.joelicari.com., and I think every house should have not one but several copies. On that same site, you can find a whole big handful of compact discs Joe has recorded with a wide variety of musicians, and his own book — his delightfully down-to-earth memoir, THE INVISIBLE CLARINETIST. Most memoirs are exercises in self-absorption and self-praise or there’s some wrenching trauma at the center. Not so for Mr. Licari — his book is a series of cheerful tales of encounters with Benny Goodman (on record), Bob Wilber, Wild Bill Davison, Dill Jones, Kenny Davern, Larry Weiss, Bernie Privin, Cliff Leeman, and many more. It’s very entertaining because it’s so unaffected — rather like having Joe come over to your house and tell you stories. A delightful experience — and it’s also available on Joe’s website. Joe Licari is not invisible: he’s alive and well and playing beautifully. CELEBRATE THE LIVING MUSICIANS: CLICK HERE!